Forum: “Shakespeare on Screen”. Dr. Jennifer Clement and Dr. Lisa Bode (chairs), with Professor Peter Holbrook (University of Queensland); Dr Yvonne Griggs (University of New England); Associate Professor Rob Pensalfini (University of Queensland); Associate Professor Laurie Johnson (University of Southern Queensland); Dr Brandon Chua (University of Queensland); Dr Christian Long (University of Queensland and the Queensland University of Technology). 1pm, GOMA, Queensland Art Gallery. 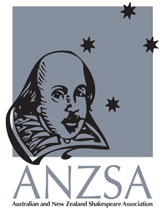 Public talk: Prof. Ian Gadd (Bath Spa U) and Prof. Ian Donaldson (Melbourne), “Celebrating Shakespeare: In Conversation”, 2-3pm, Theatre, Lower Ground 1, National Library of Australia. $15 (includes refreshments). Public talk: Dr Mark Houlahan (Waikato), ““You Get a Feed There” – The New Zealand Shakespeare hut and other Shakespeare tales from 1916″, Waikato Museum, 1030-1130am. Public talk: Dr David McInnis (Melbourne), “The Lost Shakespeare Apocrypha”, Melbourne Shakespeare Society, St Francis Church (cnr Lonsdale / Elizabeth Sts), $7 donation entry. 2-3pm. Book launch: Dr Rob Conkie (La Trobe), Writing Performative Shakespeares: New Forms for Performance Criticism (Cambridge UP). Fortyfivedownstairs, 330pm. Plus art exhibition by Bernard Caleo of drawings of the rehearsal process of The Merry Wives of Windsor (at 430pm, with exhibition talk, “Drawing and rehearsing The Merry Wives” at 530pm). Public talk: Prof. Ian Gadd (Bath Spa), “© William Shakespeare”, Wednesday 27 April, 630-730pm, Macmahon Ball Theatre, Old Arts, University of Melbourne.